This app suggestion comes to us from our very own Tamara, our Customer Care Supervisor here at the Admin Office. 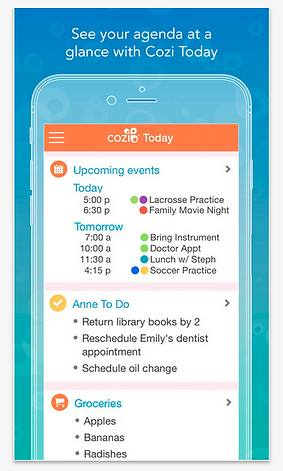 Cozi is an easy to use, family-oriented calendar app. This app is color coded so you can easily differentiate between your personal schedule and your family’s. It’s great for busy families who have millions of events, appointments, and practices. 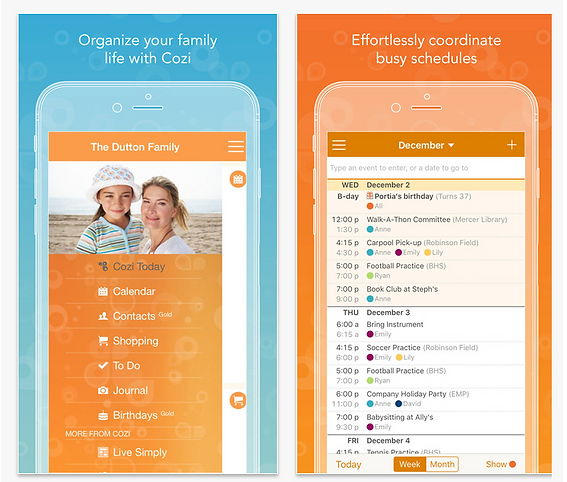 Cozi's other features include: to-do lists, recipe boxes, family journals, as well as other in app purchases to make your life run just a little smoother.
" This app allows my husband and I to share a calendar. It sends us both notifications to keep us on track. The best thing is that it also has a grocery list on the app. If my husband or I add anything on the grocery list, they sync together and we can see what each other has put on the list or the calendar." Even the TODAY Show raves about it! Calling it a"must-have app for a better life."